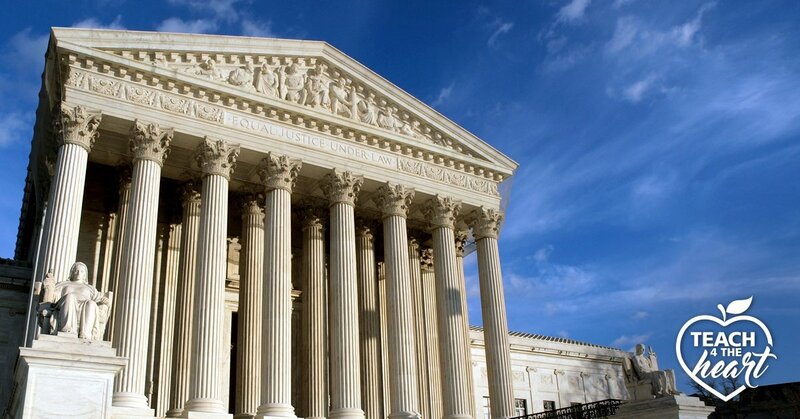 The Supreme Court recently ruled on the case Janus v. AFSCME, determining that teachers (and all public employees) can no longer be forced to join the union. David Schmus, director of Christian Educators Association, joins us to explain the case and the new rights it gives public school teachers regarding union membership. Before the Janus case, teachers in many state were required to join the union, pay agency fees, or become a religious objector. In many cases, teachers still had to pay fees to the union, even if they were not a member. The Janus case ruled that teachers cannot be forced to pay fees to the union because the money is political. In a sense, everything a public employee's union does is political - they're negotiating policy, how teachers are hired and fired, and how government dollars are spent. By definition, all of that is political because it affects taxpayer dollars and public policy. 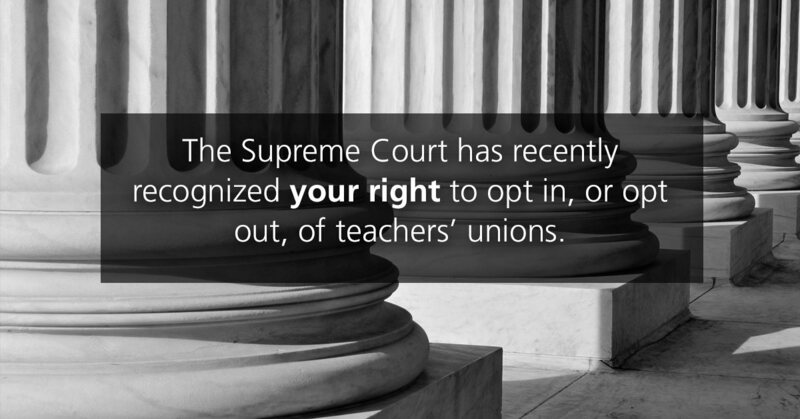 Thus, if a teacher doesn't like what their union is doing, they can no longer be forced to pay fees to the union. In essence, Janus has made every state a right-to-work state, giving all teachers the freedom to choose whether or not to join and pay fees to their union. WHY might some teachers not want to join the union? Whether or not to join your local union is a personal decision that should be made with prayer. God calls some to be involved in the union as a witness for Him. But many teachers find that their union dues are going towards causes and organizations they cannot, in good conscious, support. For example, $2.85 million has been given to Planned Parenthood from AFT & the NEA (source). Political contributions are also quite one-sided, often not reflecting the varied views of the union members. The good news is that if you do not want your money going to these causes and organizations, you can no longer be forced to contribute. can i support my local union without giving money to the state & national unions? Many teachers love their local union, but when you join a local union, unfortunately, it's normally all or nothing and you're also joining your state and national union. Typically, only about 20% of your union dues go to your local union, approximately 65% to your state union, and around 15% to the national union. The good news is that, even if you choose not to be a member, you can continue to support your local union through donations. For example, if you choose to leave the union and join another professional organization (like CEAI), you can take the money you used to pay as dues, pay the portion for your CEAI membership (likely 1/4 - 1/2 of your current dues), then send in a 20% donation to your local union. You're still ahead - with money either in your pocket or available to invest in your school in other ways. And you're continuing to support and fund your local union. If you choose to leave the union, you can join an organization like Christian Educators Association to replace the protection part of your union coverage. CEAI provides the liability insurance, job action protection, and legal consultation - replacing or even surpassing your benefits as a union member for a fraction of the cost. Best of all, CEAI supports you from a Biblical worldview and will stand by your Biblical beliefs and values. For example, a CEAI member who intended to send an encouraging email to a suicidal student saying he was praying for them accidentally sent it to another teacher, who forwarded it to his admin. He soon found himself under investigation and escorted off campus by security. But CEAI stepped in, went to bat for him, and got his job back. I love that CEAI has your back - in situations related to religious issues or other common issues like accusations of excessive force in discipline or false accusations of helping students on standardized tasks. 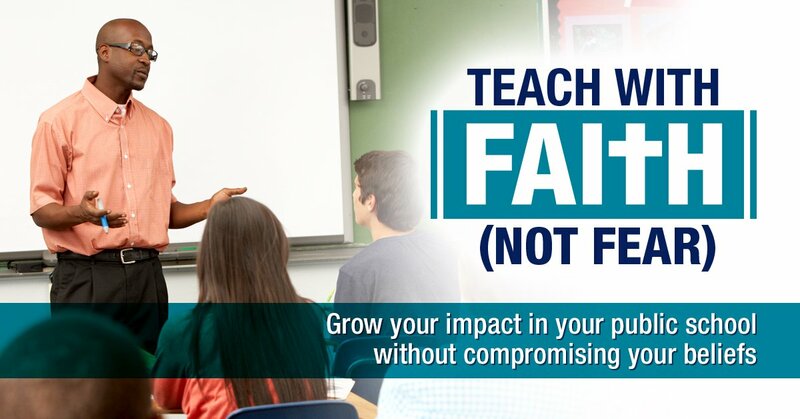 Take the FREE Teach with Faith, not Fear training. will the union still negotiate my contract? If you choose to leave the union, the contracts the union negotiates still apply to you. 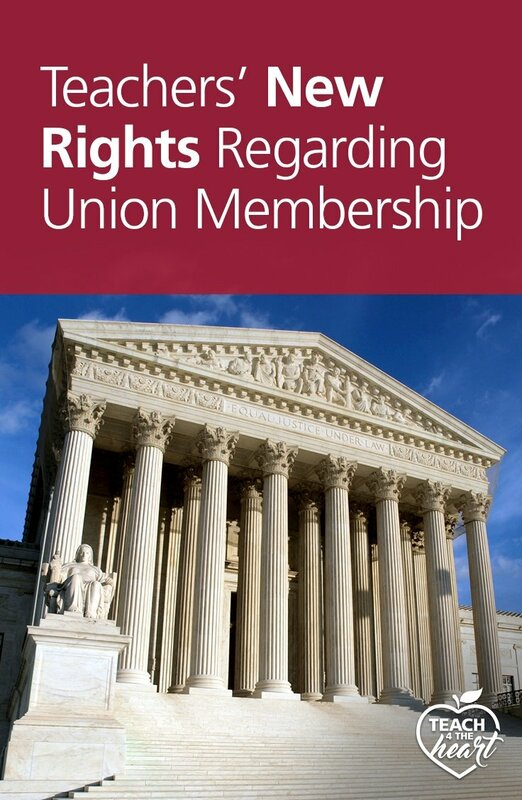 You are not allowed to be excluded from negotiated contracts based on whether or not you are a member of the union. Rest assured, even if you choose not to join the union, all the terms of the contract will still apply to you. Curious why? Listen to the full interview above for more details. will i be accused of being a free rider? In addition to the option of giving a donation to your local union, there are many creative ways to give back to your school - thus deflecting any accusations of being a free rider. For example, a teacher in Michigan took a percentage of the money he used to pay as union dues and funded a scholarship for his school. Partnering with CEAI, he gets to give out a $500 scholarship each year, giving back to his school and testifying to Jesus in the process. Look for and pray about ways to take your union dues and invest them back into your school and community in a way that honors the Kingdom. how exactly can i leave my union and join ceai instead? How to stop paying fees/dues to the union. *Please note that some states currently have restrictions for when you're allowed to opt out. Listen to the full interview for more details & check into your local rules and requirements. And if you run into any trouble, contact CEAI at teach4theheart@ceai.org. 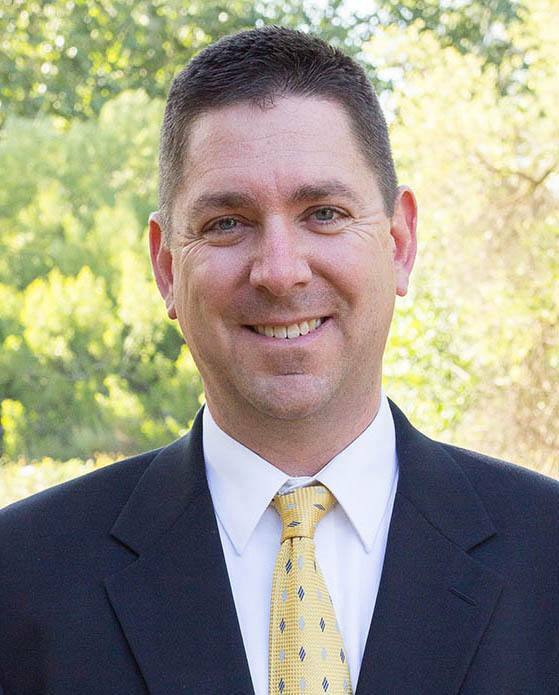 David Schmus is the Executive Director of CEAI, which seeks to encourage, equip, and empower Christian educators to transform our public, charter, and private schools with God’s love and truth. Previously, he was a high school history/government teacher and a Christian club adviser for 15 years, being repeatedly honored as Most Inspirational Teacher. He holds an M.A. in Biblical Studies and Theology from Biola University, and taught Biblical Worldview classes at Biola as an adjunct professor. David has provided leadership for gatherings and weekend conferences around the nation during which thousands of Christian educators have been encouraged, equipped, and inspired to walk out their faith legally in the mission field of the public schools. David and his wife Elizabeth have been married since 1992, have 3 daughters, and are based in Orange County, California. NOTE: We support CEAI and partner with them to spread the word about their fantastic services. If you choose to join CEAI through the links above, Teach 4 the Heart will receive a percentage of your first year's enrollment at no extra cost to you. Thanks for helping support Teach 4 the Heart in this way. I am happy with my union, thank you. You fail to point out that when enough people leave their union, eventually there won’t be a union to negotiate those contracts. So why you might be gaining a few dollars back in the short time, you may lose a lot more in the long run.